An arrest for driving under the influence of alcohol or drugs in California means not only going to criminal court, but in almost all cases, it means facing the Department of Motor Vehicles (DMV). 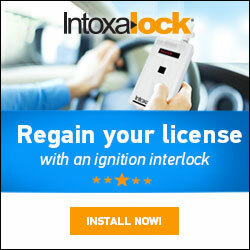 It is very important to immediately contact a lawyer when you first get arrested for a DUI. You only have ten (10) days from the date you were arrested, to request a DMV hearing. 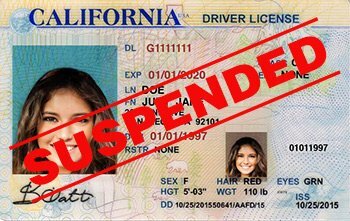 This prevents your driver’s license from being automatically suspended. If you don’t request the hearing, your license will be suspended for at least 30 days. We can meet with you immediately, and contact the DMV on your behalf to demand a hearing be set for your case. You will be able to legally drive pending the outcome of the DMV hearing. At Jimenez Law Offices, we start every case assuming our client is innocent until proven otherwise. We know what the district attorney must prove in a DUI case, and we fight until each element is or is not proven. There is always an avenue we can explore in building your best defense. Arrested for alcohol DUI? An arrest for driving under the influence of alcohol (they will not immediately suspend for a drug-only DUI arrest) can result in an immediate license suspension. This includes not only California, but also the other 49 states of the U.S. (Out-of-state residents arrested for DUI in California will have their license suspended here and in their home state). A DMV suspension can be stopped and beaten. You or your attorney must request an Administrative Per Se (APS) hearing within 10 days of the date of your arrest to fight the suspension. We have successfully defended hundreds of APS suspensions. Although you may have to go through the DMV APS hearing process, that’s only one part of the ordeal after arrest. You will also be subject to prosecution in the criminal courts. During this hearing you may not only have your privilege to drive suspended, but may also be sentenced to jail, ordered to pay a big fine and to attend an alcohol education class as a term of probation. This may be for either an alcohol or drug (or both) DUI arrest. Call us immediately for a free consultation. We will fully explain all of the potential consequences of your DUI arrest. If you are arrested for a DUI and you are under the age of 21 years old, be aware that different rules apply to your arrest. You must attend the DMV proceedings and the court prosecution. If an officer requests a breath test during the time of the arrest, you are required to comply. If any amount of alcohol is detected, you could be subject to a 1 year license suspension. These breath tests can be fought and can be beaten. We are the best attorneys in the Coachella Valley to defend you. Affordable and aggressive attorneys that fight for you.